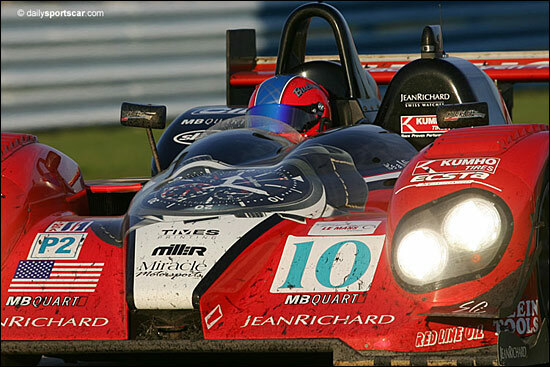 Kumho To LMP1 In 2007? Perhaps in our Sebring preview material we’ve been a little remiss in failing to point out that the two-time reigning LMP2 race winners in the 12 Hours are Miracle Motorsports. 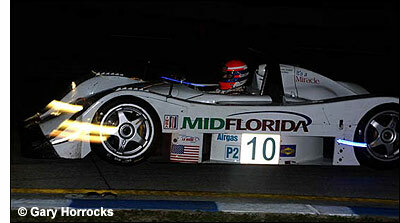 In 2004, that was with an entry from “American Spirit Racing Inc” - a Lola B2K/40 Nissan - which John Macaluso, Ian James and Mike Borkowski took to the class victory, admittedly in a race of attrition. Last year, Ian James, Jeff Bucknum and Chris McMurry were the winners in #10 again, this time driving the team’s (still current) Courage C65 AER. This time it’s Andy Lally, James Gue and John Macaluso scheduled to drive #10, and although it’s unlikely these three will challenge the newer cars on pure pace, don’t bet against them bringing the red Courage, running its Kumho tyres again, home at or near the front of the class. To finish first, first you… etc etc. “We should have a good combination of speed and durability, which is what you need for a fast, bumpy surface like Sebring,” said Kumho’s motorsport manager Rudy Consolacion. Can John Macaluso’s team make it three out of three – and Kumho two out of two? We’ll know in less than a week. None of the dsc crew picked #10 to feature this year, so that must improve its chances. NB. For 2006 and 2007, KUMHO will have a greater marketing presence within the series itself. For the ten ALMS races that are broadcast on CBS this season and next, KUMHO will have an in-car camera on the Miracle Motorsports car. Additionally, KUMHO commercials will air during the CBS race broadcasts, and select broadcasts will feature the “KUMHO Track Description” at the start of the race. At the track, the KUMHO brand will be promoted by public address announcements at each event, commercials on the ALMS radio broadcasts, and logo placements on all ALMS transporters, trailers and equipment. KUMHO will sponsor the year-end ALMS Championship Awards Banquet and will be included in all ALMS promotional materials, such as media guides, fan guides, etc. And KUMHO will receive tickets to each event to entertain dealers and customers.